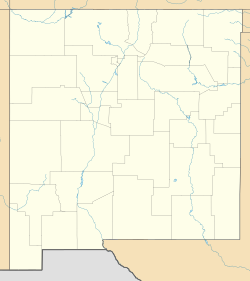 City of the Sun is an intentional community and census-designated place in Luna County, New Mexico, United States. Its population was 31 as of the 2010 census. The community, which is on the northern border of Columbus, was founded in 1972. ^ "City of the Sun Census Designated Place". Geographic Names Information System. United States Geological Survey. ^ "City of the Sun Foundation, Inc". Fellowship for Intentional Community. Retrieved August 7, 2013. This page was last edited on 10 January 2019, at 01:35 (UTC).